Learn more about the link between diabetes and heart disease, and what you can do to prevent health complications. Suffering from high blood glucose and insulin problems are the main two characteristics of diabetes. However, diabetes and heart disease are strongly connected as it has been proven time and time again through medical research and reports that establish why the connection happens. According to the National Heart Association, diabetes and heart disease statistics show that around around 65% of people living with diabetes will unfortunately die from some type of heart disease or a stroke because of their poor heart health. 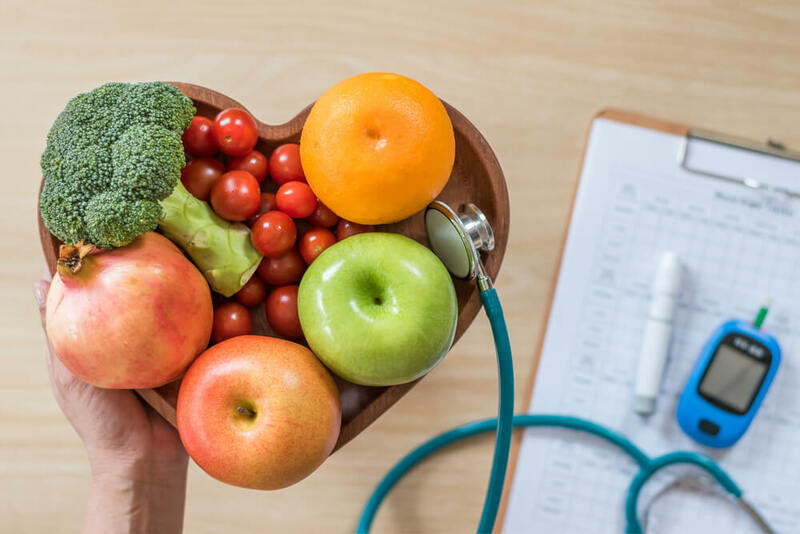 The relationship between diabetes and heart disease is not hard to explain, as one basically results from the other as a form of complication when an ailment is mismanaged. We already know that diabetes is a disease characterized by abnormally high levels of blood sugar in our system, and a lack of regular production of the insulin hormone. Unfortunately, poorly managing or controlling this disease can provoke what can be defined as a chain reaction in the body, causing damages to the walls of the arteries that, because of the buildup of fat, blocks the coronary arteries. This blockage of the main arteries later develops into coronary heart diseases, which lead to angina, heart attacks and strokes. Diabetes and heart disease statistics show that when someone is living with diabetes they are 2 to 4 times more prone to suffering from heart disease complications or a heart condition. This is why, when someone is diagnosed, medical exporters strongly recommend the patient addresses their heart health immediately after. Because of the strong relationship between diabetes and heart disease, it is highly advised that patients develop a proper care plan with the guidance and support of their doctor and specialists. When someone is diagnosed with diabetes, more often than not, their doctor will recommend a visit to a heart specialist in order to identify and treat any irregularity the patient may be suffering from. There are different types of treatments that can address heart disease issues such as aspirin therapy, certain prescription medications that treat hypertension, and a modified lifestyle that could prevent heart attacks and even strokes. In addition, it is important to address these issues with the help and guidance of your doctor and a specialist in the two areas, because they will be able to identify which medications are best suited for your current health state, and avoid any unwanted side effects from medication interaction. Adding regular exercise to your routine, even if it is a 30 min. walk around the block. Every little bit counts. Quit smoking and significantly lower your alcohol intake, as these are both strong contributors to both diseases. Try to stick to a balanced diet, one rich in lean protein and fiber, with low carb intake. Maintain a healthy weight or lose those extra pounds if you are considered above your recommended average weight. Work on stress reduction techniques, whether you decide to try meditation or yoga, controlling your stress will help control spikes in your blood sugar levels as well as heart problems. Stick to your regular medical check-ups, as these are the opportunities you get to identify what could become a problem if left unattended. Changing your lifestyle or making these adjustments does not have to happen from day to night, but gradually including these changes can make a whole different in how you feel and in how your health improves. How are Diabetes and Heart Disease Connected? Is there a Relationship between Diabetes and Heart Disease?